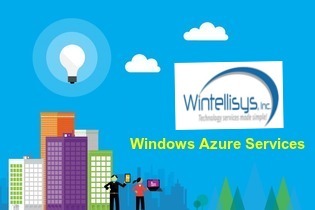 Wintellisys .Inc Technology Services: How Azure Service is beneficial for your Business Growth? How Azure Service is beneficial for your Business Growth? Whether you are running a small scale business or a big enterprise, you will surely need a reliable service that helps to dwindle all your internet problems. As the internet is growing as a prime source of income, or build up for products and services, there is a need for businesses to find ways to get themselves up on cyberspace. To shorten your entire problem, Azure services provides a cloud computing platform that can suit any need for internet solution. Window Azure is a Microsoft cloud service operating system involved in service hosting, service administration, and improvement for the platform of Azure. It allows clients to develop, manage and host the web applications online. Azure is able to support numerous languages and can integrate with the environment of your existing premises. With the help of this service, developers can run applications and even store information on servers that are owned and operate by Microsoft. Such cloud applications can be extremely important for both clients and businesses. 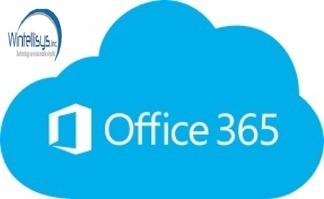 At Wintellisys, you can upgrade your technical knowledge with the help of its some astounding cloud computing platform such as office 365 and azure services. Our proficient team can help you to migrate your mailbox from an exchange online server to office 365. So, you can access your office application at anytime, anywhere. Ability: Azure service is famous for delivering improved productivity and high operational proficiency because of reduced capital expenses. Clients and partners can actually realize the benefits of reduction of operational cost as well as the reduced workloads with the help of office 365 and azure services. Agility: Developers would find an amazing host of development tools to take benefits including automated service management and increased data center presence internationally to respond faster to the diverse client needs. With its dexterity, organizations can focus on spelling out competitive differentiator, and explore new market for expansion. Focus on Value: The main reason why many small and big enterprises use azure services in their business because it mainly focus on delivering services and value to your customers. Azure service enables enterprises to spend time in countering the threat of security by allowing spending less time on operational hurdles and helping you to focus on critical competitive differentiator. High Quality: Azure services ensure to provide high quality service to the clients instead of worrying about the technological and operational hurdles. You can also make the most out of the development tools provided as well as the automated service management to meet the need of your customer at the faster rate. Completely agree. This blog share complete information on how azure service is beneficial for business. Very informative blog post. Also it is important to have best azure disaster recovery.